A letter from six organizations, including the state American Civil Liberties Union, claims more than 5,000 prisoners are deprived of fresh air, light and human contact on a given day, and that one-in-five prisoners should be receiving mental health care. The letter references the death of Michael Kerr, a mentally ill inmate who died of dehydration last year after a month in solitude. Chris Brook of the North Carolina ACLU said Kerr's death was the symptom of a larger problem. "This has been an issue that has been known and understood at some level for almost a decade in our prison system, yet we continue to over-utilize solitary confinement, and place inmates often times suffering from mental illness in solitary confinement for very slight infractions, including the use of profanity," Brook said. UNC law professor Deborah Weissman was lead author of a report last year that described long-term solitary confinement as an inhumane form of punishment. "Once they land there, they are mistreated, they are abused and they are neglected, and their circumstances will only get worse," Weismann said. 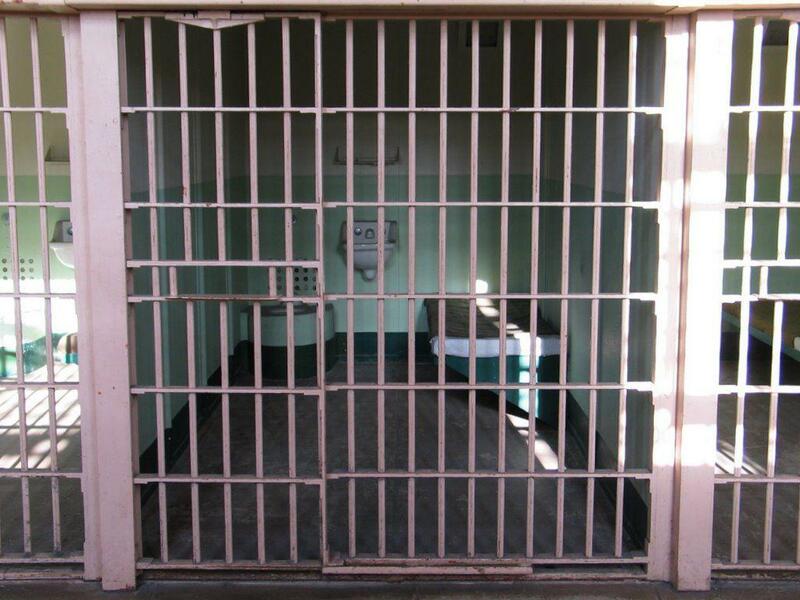 Isolation can have a traumatic effect on inmates, exacerbating stress symptoms. Many inmates are also released directly from isolation to society. Weissman and other advocates want the DOJ to pressure the state to offer comprehensive mental health care and discontinue prolonged use of solitary confinement. State Prison Commissioner David Guice told state legislators in December the department needed an additional $20 million to hire enough staff to treat mentally ill inmates. The Senate budget proposes $6 million to cover hiring in the current fiscal year. ‘It Didn’t Do Nothing But Make Me Worse.’ What Are The Effects Of Durham County Jail’s ‘Lock Back'? Updated Friday, October 9 at 2:30 p.m. The Durham County Sheriff's Office has doubled the amount of time inmates at the Durham County Jail are allowed to spend outside their cells. General population detainees, or mainly those awaiting trial, are allowed to spend eight hours a day outside their cells, an increase from four hours a day. Last year Michael Anthony Kerr was found unresponsive after spending 35 days in a solitary confinement cell in North Carolina. He subsequently died. Recent research has shown that the impacts of solitary confinement can have detrimental long term effects. A new pilot program in North Carolina aims to reduce rates of solitary confinement in the state. Jessa Wilcox is with the Vera Institute, a non profit focused on justice and is working with the North Carolina Department of Public Safety on the program. State Senate leaders held a news conference Monday to discuss details of their $21.47 billion budget proposal. The proposal is smaller than the state House’s budget plan released almost a month ago, and would create a separate state agency to administer North Carolina’s Medicaid program. WUNC Capitol Reporter Jorge Valencia said the Senate has only given a general idea of its budget proposal, and includes increasing the starting salary pay for teachers to $35,000 a year, a $2,000 increase.